"Quality made certain, satisfaction guaranteed." CertainTeed warrants to the property owner that its STONEfaçade Cladding System is free from manufacturing defects in material and workmanship if installed according to our applicable installation instructions, subject to the terms and conditions of this Warranty. If CertainTeed determines, in its sole discretion, that its STONEfaçade has a manufacturing defect under the terms of this Warranty, CertainTeed will, at its option, either (1) contribute toward replacement STONEfaçade or (2) refund the amount paid by the original property owner for the STONEfaçade. No labor costs or other costs associated with installation, removal or replacement are included in either option above. If a claim is made to CertainTeed during the first two (2) years after original installation and CertainTeed determines that a manufacturing defect exists, under the two options listed above for the product proven to be defective, CertainTeed will provide either replacement STONEfaçade or a refund. After two (2) years, the amount available under this Warranty for replacement STONEfaçade or for a refund will be based on the Proration Calculation listed below. Should the property owner not have the original invoice for the STONEfaçade, CertainTeed will determine the original cost based on the reasonable cost of the STONEfaçade at the time of original installation. CertainTeed’s maximum contribution toward replacement STONEfaçade or a refund under this Warranty will be calculated by using the cost of the STONEfaçade determined by CertainTeed to be defective reduced by 1/216 for the number of months from the start of the prorated Warranty period (year 3) to the date when CertainTeed determines that the STONEfaçade has a defect. For example, given that the Warranty is for 20 years (240 months) and should you make a valid claim in the last month of the 15th year of the Warranty (i.e., the 180th month minus(-) the first 24 months = 156), CertainTeed will not cover labor but will pay you, at CertainTeed’s sole discretion, either (1) the reasonable cost of replacement STONEfaçade reduced by 156/216 of the cost or (2) a refund of the original cost of the STONEfaçade reduced by 156/216 of the original cost. This Warranty provides coverage for 20 years starting from the original date of installation. This Warranty provides coverage for 20 years starting from the original date of installation. • Installation not in accordance with local building code requirements, including but not limited to, failure to use weather resistant barrier or installation below or at grade. • Installation not in strict adherence to the applicable installation instructions; including, but not limited to, failure to install STONEfaçade on a flat nailable solid substrate in good condition. • Minor chipping, as defined under ASTM C 1364, Section 8.1 - 8.4. • Minor differences in finish and appearance as defined under ASTM C1670 (Adhered Stone elements) Section 10. • The use of sandblasting, power washing, silicone treatments, or any other form of chemical wash.
• Discoloration caused by air pollution, exposure to harmful chemicals, chemicals or paints, and staining, oxidations or “normal weathering” resulting from exposure to the elements. “Normal weathering” is defined as the damaging effects of sunlight and extremes of weather and atmosphere that may cause any colored surface to oxidize, fade, or become soiled or stained over time. • STONEfaçade that has been painted, varnished, sealed with non-breathable sealer, or similarly coated over the manufacturer’s original finish. • Color fade, distortion, discoloration or abrasion (color bleed-off across stones is considered normal). • Damage resulting from moisture intrusion, mold, settlement of building or other building or wall movement. • Damage resulting from any accumulation of water or moisture in wall assemblies. • Negligence or accidents by any party in maintaining the STONEfaçade. • Efflorescence, residue or surface deposits. • Use in load bearing applications or installation on the ground as a surface subject to foot or vehicular traffic. • Installation more than 30 feet above grade. • Damage resulting from accident, misuse, neglect, casualty, fire, earthquake, floods, windstorm, hail, tornadoes, lightning, hurricanes, acts of God, other abnormal weather conditions, vandalism, plant growth, impact of foreign objects, salt or de-icing chemicals, excessive exposure to water due to things such as standing water, water backups, improper flashing, leaks, seepage or irrigation systems, external heat sources (including, but not limited to, a barbecue grill, or fire), projectiles, pests, chemical fumes, foreign substances in the air, misuse, civil disobedience, war, remodeling or renovation or other such occurrences beyond the control of CertainTeed. CertainTeed reserves the right to discontinue or modify any of its siding products, including the color, and shall not be liable as a result of such discontinuance or modification, nor shall CertainTeed be liable in the event the replacement material varies in color or gloss in comparison to the original product as a result of normal weathering. 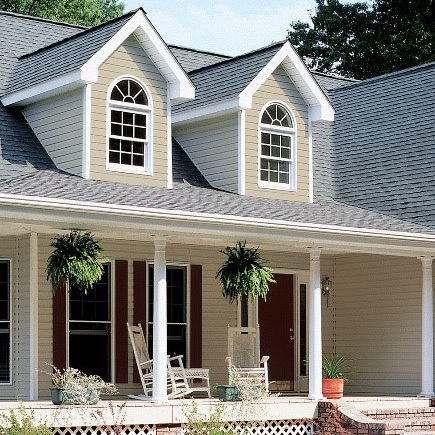 If CertainTeed replaces any material under this Warranty, it may substitute products designated by CertainTeed to be of comparable quality or price range in the even the vinyl siding product initially installed has been discontinued or modified. 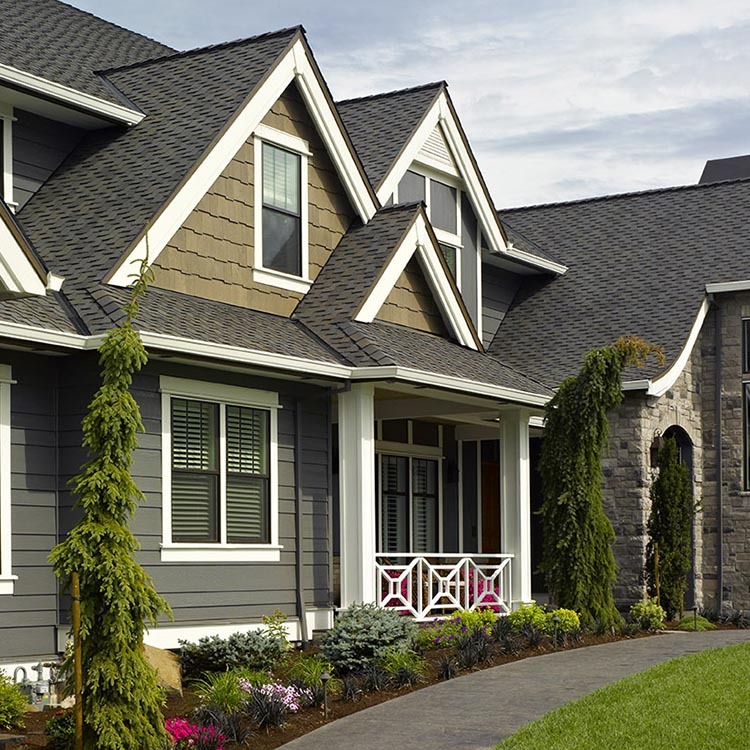 If you believe your STONEfaçade has a manufacturing defect, you must promptly notify CertainTeed in writing and provide proof of property ownership, the date you bought the property, and the date of your STONEfaçade products purchase and installation. In order to properly evaluate and process a Warranty claim, CertainTeed may require you to submit a product sample to CertainTeed for analysis and/or permit a CertainTeed representative to inspect the installed product, if required. 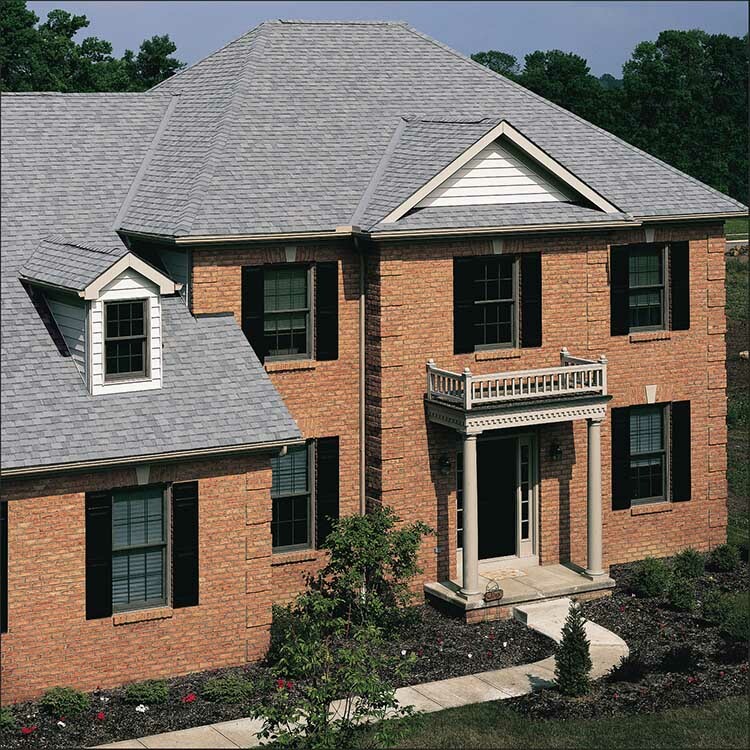 CertainTeed will evaluate each properly reported claim under the terms of this Warranty and will notify you of any additional information or product samples it may need to process your claim. This document constitutes the exclusive warranties and remedies provided by CertainTeed. The warranties and remedies contained in this document are expressly in lieu of any and all other obligations, guarantees and warranties, whether written, oral or implied by statute or at law. State or provincial law will determine the period of time following the sale that a property owner may seek a remedy under the implied warranty of merchantability or fitness for a particular purpose. CertainTeed’s obligations, responsibilities and liability shall be limited to refund or replacement of the defective product as set forth in this warranty. In no event shall CertainTeed be liable for any special, indirect, incidental or consequential damages of any kind, including any damage to the property, the building or its contents, or for injury to any persons, that may occur as a result of the use of CertainTeed’s products or as a result of the breach of this warranty. If your state or province does not allow exclusions or limitations of special, indirect, incidental or consequential damages, the above limitations may not apply to you. In no event shall CertainTeed’s total liability arising out of or related to the STONEfaçade or this warranty exceed the original purchase price of the STONEfaçade. This Warranty may not be modified, altered or expanded by anyone, including product distributors, dealers, sellers, installers and/or CertainTeed field representatives. This Warranty gives you specific legal rights, and you may also have other rights which vary from State to State or Province to Province. All payments made by CertainTeed pursuant to this Warranty are in U.S. dollars. This Warranty applies to STONEfaçade products installed on or after October 1, 2015 (The Warranty in effect at the time the material is originally installed is the applicable Warranty.) This Warranty replaces all prior warranties.